So just this week I noticed that one of the radio stations that I listen to regularly has changed. It used to be a station that played current music and often I’d hear a song for the first time on that station – sometimes weeks before hearing it on another station. I’m kind of sad to see it go. Yesterday morning, I was rocking out in the car on the way to work. One of the songs that came on reminded me of the movie “Save The Last Dance.” Did you see that one? It’s from way back in 2001 and I was obsessed with it. A friend and I actually watched a couple scenes over and over to learn some of the moves, haha. Oh, how I love the 90s. And this trifle. I’m a big fan. If you’re anything like me, you’ve barely even begun your Christmas shopping and are semi freaking out that you only have about 2 weeks left to get it together and get on it. Soon, I’ll be running around like a crazy person (but really, how is that different than normal?) trying to get everything finished. That’s why we need easy desserts like this one in our dessert arsenal. No baking, just a little mixing and layering, refrigerate and you’re done. You could even make it the night before and let in refrigerate for a bit so that everything softens up and melds together. In fact, I recommend it. 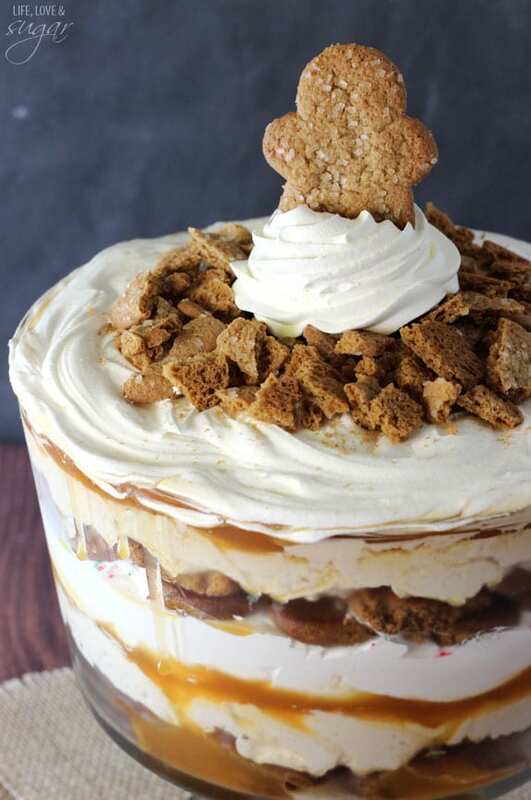 I used my favorite childhood gingerbread cookies in this trifle – the Little Debbie ones – and I would actually recommend using those. They are thick, puffy and soft, making them great for a solid layer in a trifle. If you can’t find those cookies, I’d recommend another cookie that is nice and thick. 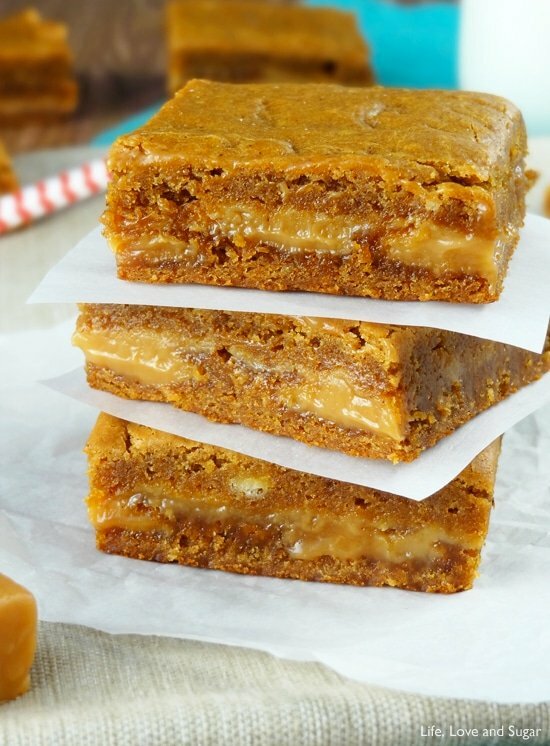 Another option would be to use gingerbread cake instead of the cookies, but that might require baking which defeats the whole no bake purpose. So yea, find those cookies if you can. Walmart is always where I go for the hard-to-find stuff, but I was able to get these at Publix. Isn’t great how I look out for you at this time of year? To busy to bake? Crisis averted. 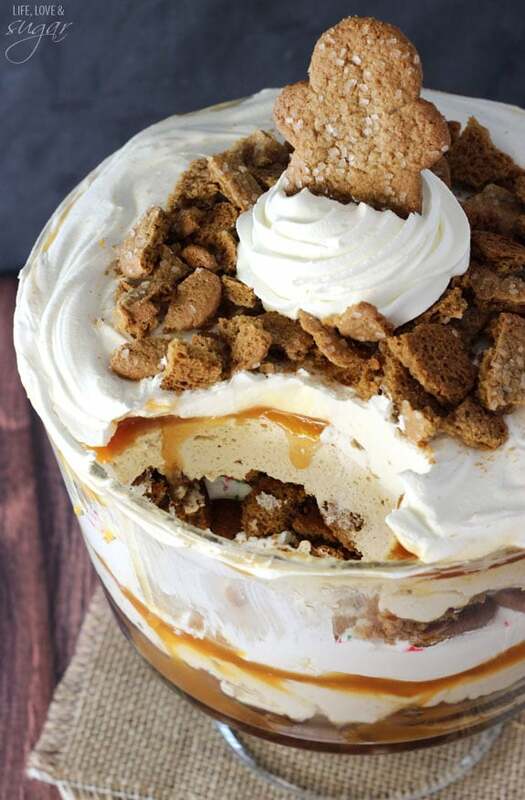 Enter this Gingerbread Cheesecake Trifle. 1. In a large bowl, beat cream cheese and sugar until smooth. 2. Add ginger, cinnamon, cloves, molasses and milk and mix until smooth. 3. Stir in 8 oz of Cool Whip (or homemade whipped cream). 4. 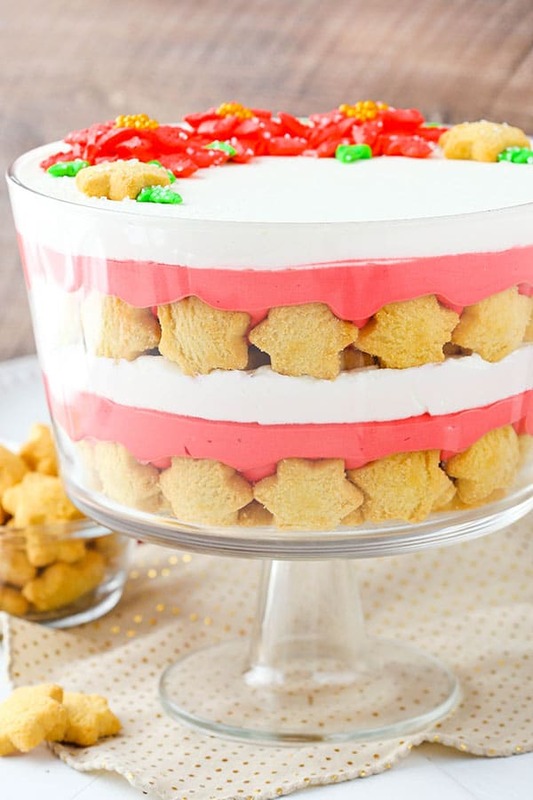 In a large trifle dish, break up gingerbread cookies to make an even layer. 5. Top cookies with half of cream cheese mixture. 6. 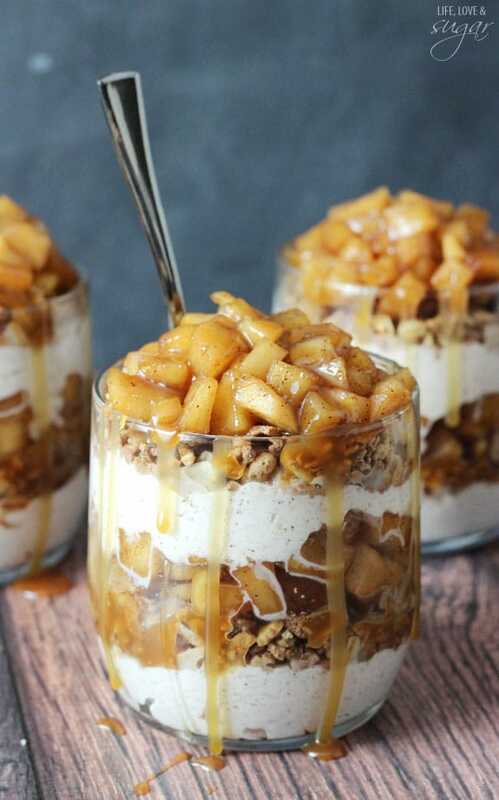 Top cream cheese mixture with 1/2 a cup of caramel sauce. 7. Top caramel sauce with about 6 oz of Cool Whip (or homemade whipped cream). 8. Repeat steps 4-7, then finish off trifle with gingerbread crumbs. 9. Refrigerate until ready to serve, at least 4 hours. Can be made the night before and refrigerated overnight. I haven’t had those Little Debbie gingerbread cookies in forever! But man, did I love them. And I also loved Save the Last Dance. That was some quality cinema! 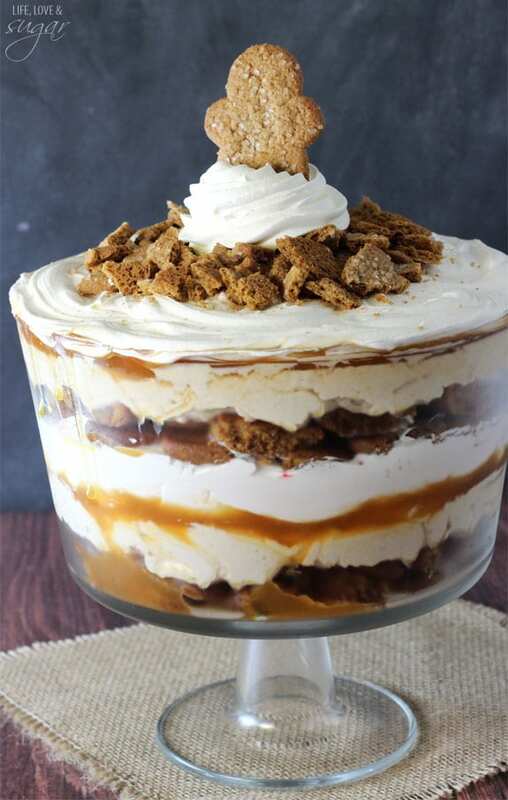 This trifle looks amazing. I’m so in! This trifle looks and sounds amazing. Oh this looks amazing and so easy!! Good luck with the shopping!! 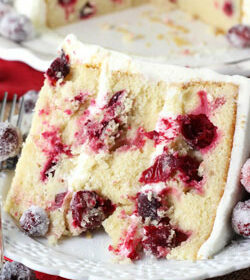 Quick and easy desserts like this are perfect for last minute holiday parties! Love it! Have to say , you have just the BEST recipes, making the cranberry sparkle cake for my sister’s birthday tried several of your cookie recipes and always have to have recipes around keep it up girl !! Thank you so much Julie! I’m so glad you enjoy everything – that makes my day! 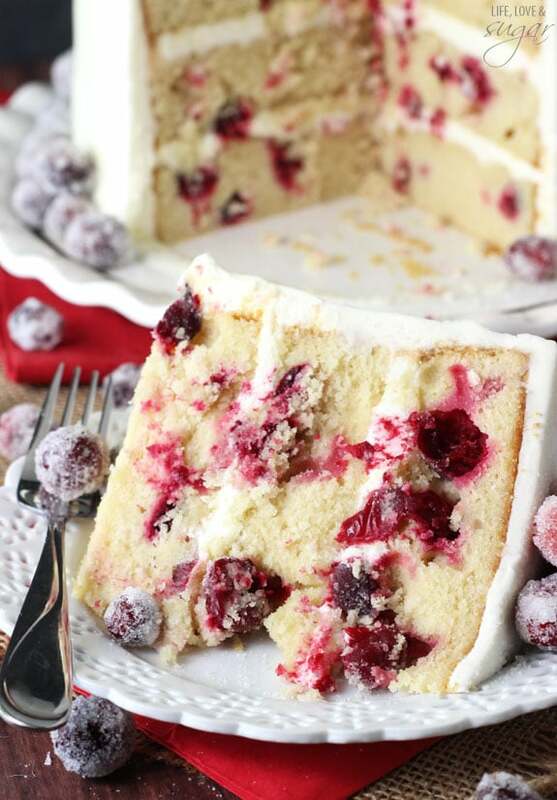 🙂 Enjoy the cranberry cake – it’s awesome! OMG this looks amazing.. I’m not normally a trifle fan, but this clearly isn’t your regular trifle! I think I’m going to have to make this this year 🙂 Thanks for sharing! Girl I am totally like you. I haven’t done any shopping at all! 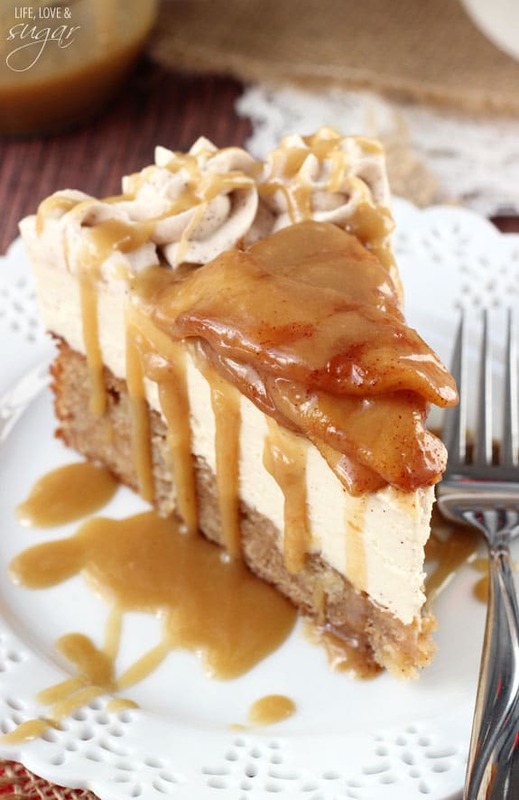 But you should forgive yourself because you are putting out amazing holiday recipes like this one! Wow! The all 90s stations are the BEST!! And this trifle. OMG. Made a version of this last night using my home made gingerbread and double cream instead of the cool whip which we don’t have here in the UK. I made them into mini desserts using large shot glasses. Very very well received by anyone who had one. Very simple and tasty. I’m so glad everyone enjoyed them! Thanks Joanne! If I make this today, will it still be good in 4 days? I made this for a holiday party I was invited to. 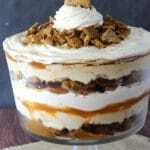 As I was tasting all components of the trifle while putting it together!, the taste was off putting. But…I do not that Trifles need to set. With that being known, I was prepared to serve it anyway. And…..OMG!!! INCREDIBLE!!!! Everyone asked Tor the recipe. I could not believe how amazing it tasted. Lindsay, you are my go to! Everything I have tried so far on your site has just been amazing! Depends on how much people eat, I guess. 🙂 I’d think it’d easily have about 10-12 servings. HI, I haven’t been able to find those gingerbread cookies you used. 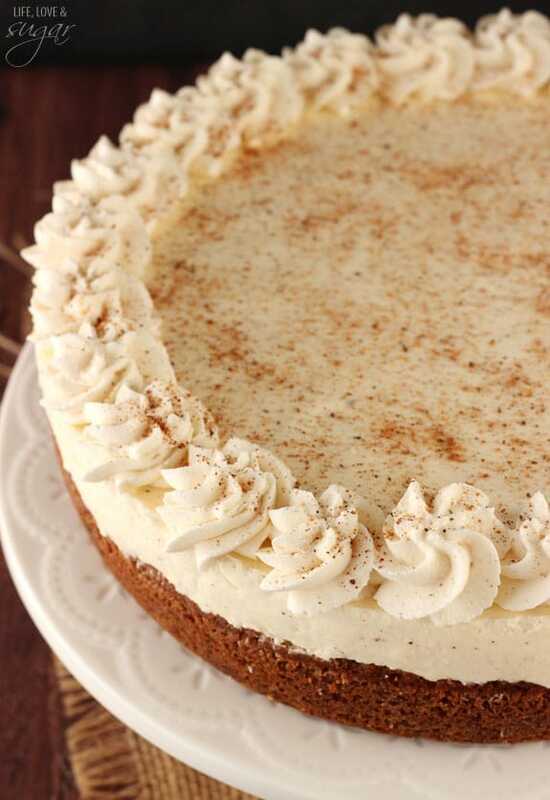 Do you recommend a different kind or would it be good with gingerbread cake instead of the cookies as a layer? 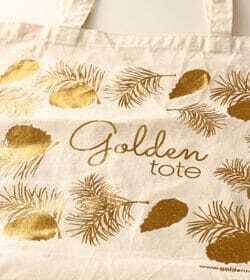 I am going to try and make this for Christmas this year. Thanks so much! 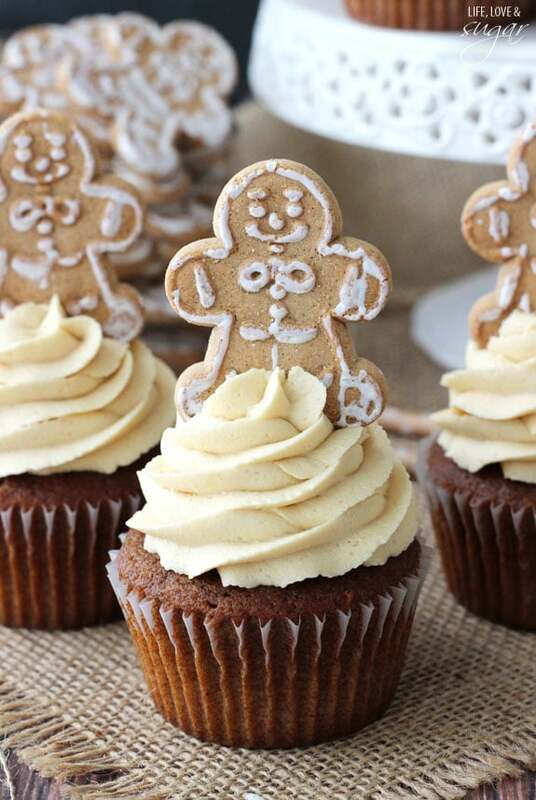 You can definitely use other gingerbread cookies. The little debbie gingerbread cookies are a little softer, but would still be good. And cake would likely be fine too. Hi, please can you let me know what sugar you use, is it regular caster sugar or icing sugar ? I use regular granulated sugar. Caster sugar should be fine. Hi! Do you use the Little Debbie Gingerbread cookies that are Gingerbread Men with icing? That’s all I can find but your picture does not show the iced kind :). Thanks! I used the Pepperidge Farms gingerbread men. Ohh! 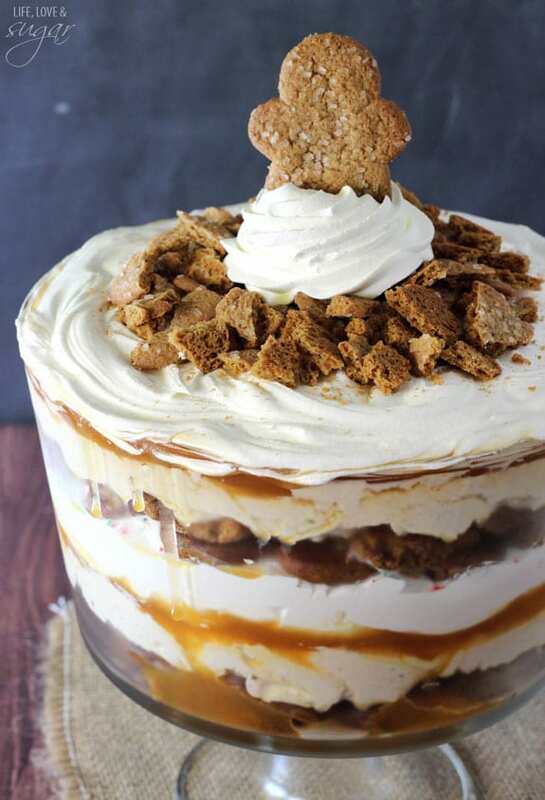 For the whole trifle or just for the topper? Your post says Little Debbie but I just want to grab the right ones ????. Thanks!! I’m sorry, I didn’t correctly see which recipe you were looking at. I thought it was the Gingerbread Cheesecake, which uses Pepperidge Farms. It’s been a while since I’ve made this, but it looks like they are also Pepperidge Farms. I will update the post to reflect that. Sorry! 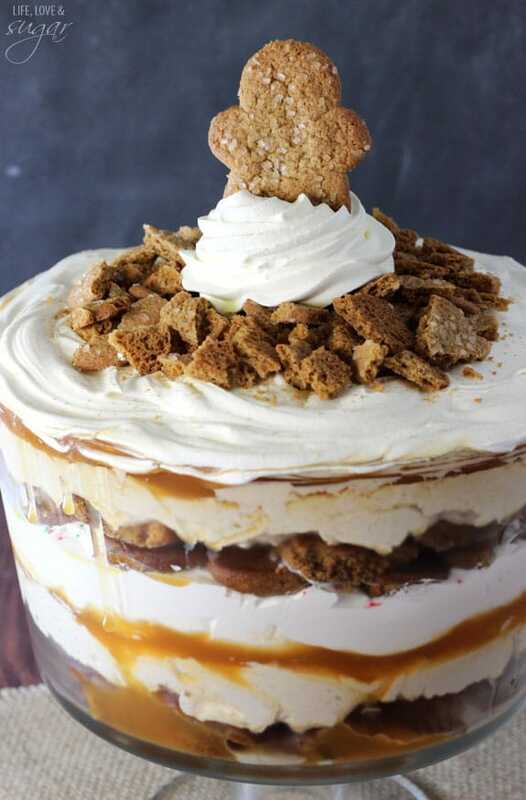 Hi, I’m planning on baking gingerbread cookies for this trifle. Would you recommend crunchier cookies or softer? The cookies I used were sort of in the middle. Not super crunchy, but not super soft. 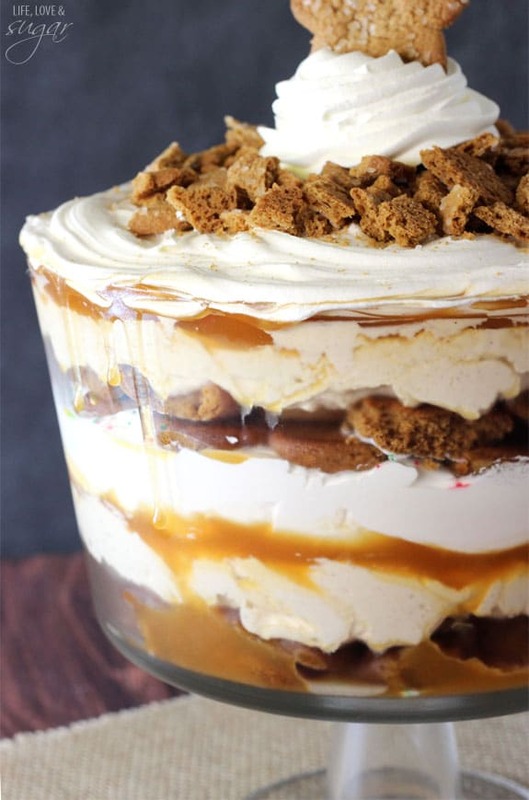 Not a huge caramel fan- do you know of anything that I could substitute that would be good with this trifle? Thanks! If you enjoy chocolate with gingerbread, you could try chocolate sauce. Otherwise, I’m not really sure what other sauces like that are readily available. I had a bit of a disaster with a gingerbread Bundt cake. Trifle is always the answer. 🙂 Thanks to Google, I found your recipe, and used it to redeem the cake, using it in place of the cookies. Totally delicious! Thank you! That’s wonderful! I’m so glad you enjoyed!